Mr Mackinlay seemed to say today that he would like to see one of the three planned hyper-acute stroke units (HASUs) being sited at QEQM, but he didn’t have any tangible suggestions for how this would be achieved. 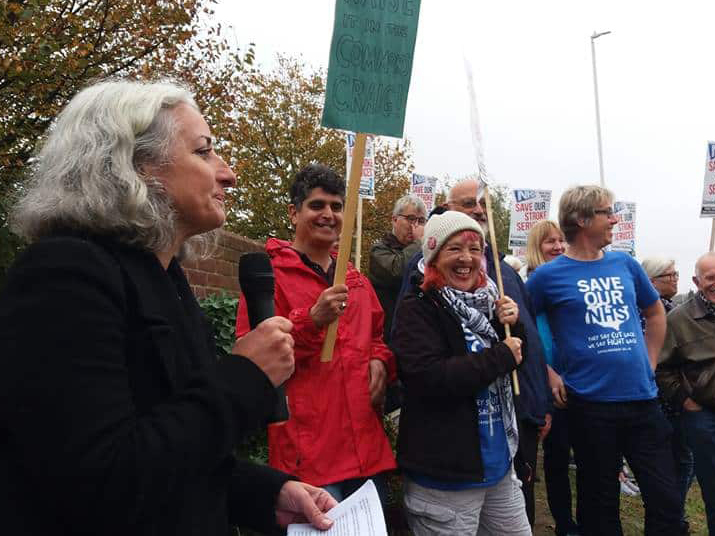 Rather than calling for one of the chosen three hospitals to lose their stroke unit, our preferred option within SONiK would be for four HASUs in Kent and Medway. This would require additional NHS funding. I prevailed upon Mr Mackinlay to raise an oral question in Parliament as part of the health debate scheduled for October 23. He should ask why Thanet was left out of the options for a new stroke unit and urge the Government to make additional funding available for a fourth HASU here. I very much doubt he will do this as he’s propping up a dysfunctional Government hell-bent on starving the health and social care systems of the funding they need to survive.